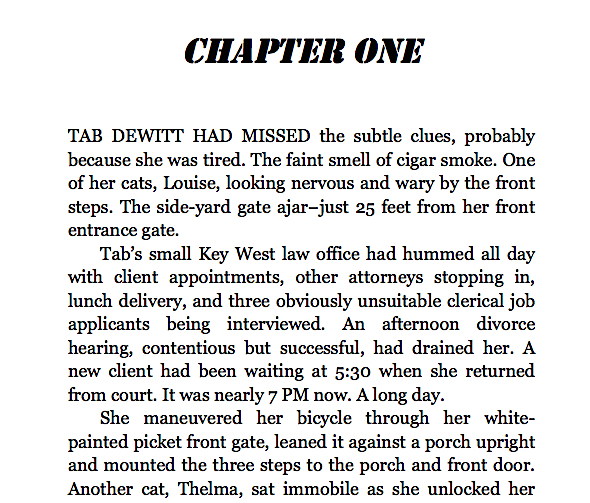 Key West lawyer Tabitha “Tab” DeWitt is innocently caught up in a search for $10 million and emeralds from a sunken Spanish galleon. The loot was hidden and nearly forgotten after a disastrous old CIA financed sting. Murder, prison, and a change of political winds put the quest for the missing treasure temporarily on hold, but 15 years later the search resumes with a vengeance, tied now to a crooked development scheme. 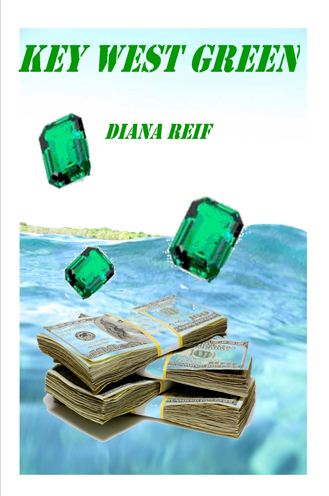 When Tab stumbles on the money, her life spins out of control. Abduction, a terrifying sailboat passage, murder, and a threatened hurricane, lead everyone to a twisted and ironic conclusion.